TIPPERARY DEPUTY MICHAEL Lowry has welcomed a decision by the Standards in Public Office Commission (SIPO) to drop its investigation in relation to lands he owns in the northwest of England. The watchdog had initiated the probe after receiving 388 complaints in relation to alleged contraventions of the Ethics Acts with regards to his business dealings in Wigan. In a statement this evening, the Independent TD described the almost-400 complaints as “orchestrated”, accusing two journalists of “working in tandem” to make “exaggerated and unfounded claims” about his shareholding in the lands. He claims the Irish Examiner’s valuation at €6.7 million was “ludicrous”, stating that the Commission’s investigation found the share to be worth about €13,000. According to Lowry, the Sunday Independent’s Elaine Byrne “activated” the complaints. In a November 2012 article, the academic and journalist asked readers to report the former minister over the undisclosed lands. Of the 388 complaints about Lowry that were referred to the commission by the Dáil Committee on Members’ Interests, 70 were deemed invalid as the complainant had not provided a sufficient return address. Lowry has subsequently amended the Register of Dáil Interests to include the land in Wigan which he said is of “negligible value”. Email “Ethics watchdog drops investigation into Michael Lowry”. 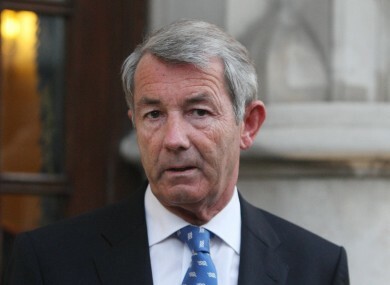 Feedback on “Ethics watchdog drops investigation into Michael Lowry”.